A story someone reminded me of. I look young for my age. Always have. I mean, there’s no picture of Dorianna Grey hanging anywhere but if I wanted to lie about my age, I could. Because of that, I’ve never been particularly bothered about people kidding me if I’m older than them. Enter a previous employer. Let’s call him Modd Tyers. Modd was very young. He started businesses young, and he hired me when he was young. We had a good joking relationship, so of course since I was older there was much making fun of decrepitude. Especially when I was in the advanced times of my life, you know 35. Eventually Modd moved the corporate office, and himself to another city. We’ll call this City Moston, Bassachusettes. One day I went to spend some time in Moston, and Modd picked me up from the Airport. He took me to the hotel to drop off my bags, and then bless his young heart he took me to a liquor store to grab a bottle of wine so I could get to sleep. There was an adorably New England type man being the keeper of the alcohol. He was a 150 if he was a day. All silently brooding, looking like he should be out on a fishing schooner. I can only assume that he overheard some flippant remark that Modd made to me about my aging mind because when we got up to the counter Modd was talking to the nice New Englander and said, “aren’t you going to ask for my I.D. like you did last time”? This morning a happened to catch a glimpse of myself in the mirror and it occurred to me that as we get older, many of our visible body issues would be corrected if our bones just continued to grow a tiny bit each year. I don’t have a little extra weight, I am just lacking in height. I ordered shoes in the mail and they came today. I have a pair of Keds that I really like and they’re getting to beaten up to wear much longer. 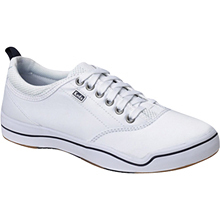 So DSW had free shipping and had them in stock, so I ordered two pairs; one white, one brown. I knew they would fit because I’m already wearing them. I’m now playing a game of chess online. The only game I play worse than Scrabble, is Chess. Now everyone will see my shortcomings. OH! I bought a coat today! 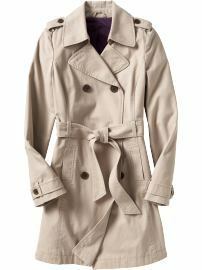 This time I got a cloth trench coat from Old Navy. Nice and simple, nothing fancy. I think it will be a good jacket for DC. I am going to do my best not to leave it in the back of a police car this time. I went in to look at the Coat Cardigans they were advertising for $20.00 but I did not buy one. Again it’s a height issue. Bulky long cardigans make someone my height look like a hobbit. They did have some very pretty ones though. They were going fast. Everyone was checking out holding one. 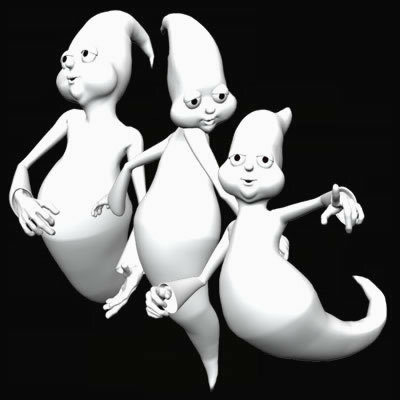 Pretty soon I’m going to start believing in ghosties. Where oh where can my post be….it can be like a scavenger hunt. Does anyone know where I’ve hidden my post? I had to go check my protected post settings to make sure I wasn’t missing something…..
Not going to work today. Got a little bit of the fever, and it feels funny when I breath. I think I actually feel better now than I did all weekend, but sleepy. Gave me bizarre dreams about ancient spirits being put into children. Creepy. I have the today show on right now. They are doing a story on a woman from Ohio who had the wrong embryo implanted. If you google “woman implanted with wrong embryo” it’s amazing how many times it happens. They look so sad. Oh! They’re actually from my city. I think they’ve made a brave and very giving choice, and I hope they get a ton of support. Unintentional surrogacy. Did you watch the Emmys? That Neil Patrick Harris is adorable isn’t he? I’m glad I stayed awake long enough to see the Dr. Horrible Sing-a-long blog part! Put one foot in front of the other…. This article showed up on my radar because of a twitter spammer, but I really liked it. Solution: Do something…anything. You don’t have to be an expert to move your body and you don’t need fancy equipment or complicated workouts either. Start with a daily walk. Walk at a brisk pace until you start sweating and go for as long as you can (or between about 20-60 minutes). Repeat at least three times a week and you’ve made a great start. I tell myself this all the time. Even if I don’t want to ride the bike, or do the circuit, or do the yoga, Do Something! Something usually ends up being dancing while cleaning something with my MP3 player on. Mopping, sweeping, whatever just something to keep me standing up. Are You Waiting for the Perfect Time to Exercise? Over the years, I’ve trained enough clients to know that, sooner or later, most of them will utter a phrase I’ve learned to dread: “I’ll get back to my workouts as soon as I can.” The As-Soon-As excuse (or, as I call it, ASA) is something we all use because of work, bad weather, illness or a bad hair day, but it often leads to a permanent disruption in the exercise routine. If you find that “as soon as” has become “never,” ask yourself if you’re too busy waiting for the perfect time to exercise. Why Do You Stop Exercising? When it comes to exercise, you may have good reasons why you’re not doing it. Maybe you’re too busy or you don’t know where to start, but while those things may be true, they may also be an excuse to avoid some of the uncomfortable aspects of exercise. Below are some common problems that may lead to the dreaded ASA excuse, as well as tools to help you banish that phrase from your exercise vocabulary. Excuse: I’ll exercise as soon as I’m in better shape. Some of us put off exercise for fear of discovering (or exposing to others) how out of shape we really are. What if you can’t walk very far or you can only lift the baby weights? Some of us would rather not exercise at all than to face how far we are from the fit person we want to be. You may tell yourself you’ll join a gym as soon as you’re in better shape but, to get in shape, you may need to join a gym … which you can’t do until you’re in better shape. That kind of circular thinking can keep you off exercise forever. Excuse: I’ll exercise as soon as it’s not so uncomfortable. What happens when you exercise? You sweat, you breathe harder, your heart pounds and your lungs burn. You may feel twinges of pain coming from muscle groups you’ve long forgotten about. If it’s been a long time since you physically exerted yourself, it can be daunting taking that first step. Wear quality shoes. Wearing those old running shoes is a sure way to make your feet hurt and, possibly, cause an injury. Get a good pair of shoes that fit the activities you’ll be doing. Always warm up. Take at least five minutes to gradually warm up your muscles. Try walking or light versions of the movements you’ll be doing. Go easy. For cardio, stay at a moderate level, about 4-5 on this Perceived Exertion Chart or between 55 to 70% of your maximum heart rate if you’re monitoring target heart rate. For strength training, use light weights for the first few workouts. Always cool down. The cool down helps the body get back into balance. You should also stretch to help the muscles recover and repair. Excuse: I’ll exercise as soon as my schedule clears up. This is probably the most popular ASA excuse, though we know that non-exercisers aren’t any busier than exercisers are. The difference is that exercisers make workouts a priority. Quiz: Is Exercise a Priority? Excuse: I’ll exercise as soon as I figure out where to start. If you’ve ever been pulled over for speeding and pleaded ignorance (e.g, “Oh, the speed limit is 35? I had no idea!”), you know how well that usually goes over. The same is true for exercise. Many of us use confusion as an excuse, telling ourselves that as soon as we do more research or find that perfect exercise book, we’ll finally get started. Excuse: I’ll exercise as soon as the season changes. I once had a client who canceled her training appointment because it was raining. Oddly enough, our sessions were indoors, but that didn’t stop her from using that excuse. There are times you can’t exercise outdoors, but taking off whole seasons isn’t the answer either. Solution: Be creative. Even if outdoor exercise is your first love, have a backup plan for bad weather. If winter’s coming and you know you can’t get out, plan ahead for how you’ll fit in your workouts. You can join a gym, try videos, do home workouts or walk at the mall. Don’t let the weather stop you from staying fit. It’s hard enough to exercise when things are going right — add bad weather or some other discomfort and it seems impossible. There’s nothing wrong with wanting to make exercise as easy and as comfortable as possible, but exercising when things aren’t so perfect can actually deepen your commitment to healthy living. If you can workout on a rainy day,there’s no telling what you can do when the sun comes out.